Check here to see if your company makes matching contributions and double your impact. A gift from a generous donor kick-started construction plans for a new building that will place liberal arts under the same roof as science, mathematics and agriculture. 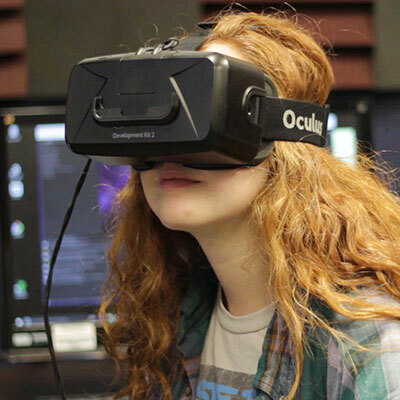 The facility will house the Expressive Technology Studios, a physical space dedicated to developing the educational intersection between technology, humanity and the arts. Support for the Dean’s Excellence Fund is a great way to make a strong and immediate impact on the college. A healthy fund enables the CLA to take bold new directions and respond to unforeseen needs and circumstances. The college’s goal is to have a healthy balance of $50,000. 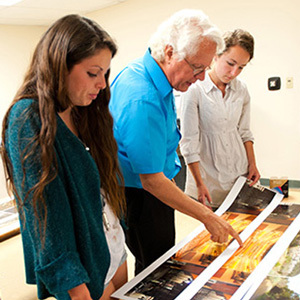 With your help, the college can create the margin of excellence for which Cal Poly is known. 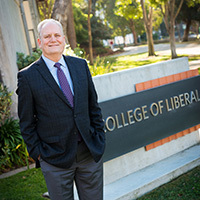 Gifts to the College of Liberal Arts help to set the direction for the liberal arts on campus, enhance cross-disciplinary experiences, support student success, and empower the faculty to build on the college’s national reputation. Members of the Dean's Leadership Circle support the CLA directly with an annual gift of $1,000 or more. Annual gifts to the department or program of your choice provide vital support for new curriculum, faculty research and development, laboratory and equipment upgrades, student projects, student and faculty travel, national and international competitions, and awards. Scholarships can make the difference between a student’s ability to pursue higher education or not. 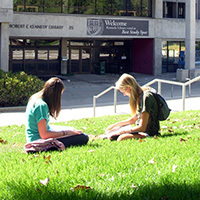 While students may receive financial aid through grants, loans, parental assistance and part-time jobs, many exemplary scholars still struggle to meet the costs of higher education.There are many ways for donors to support scholarships, from sustaining existing scholarships to creating new ones that can reflect donors' values and interests. For more information about creating a new scholarship fund, contact the CLA Advancement team at 805-756-6246. 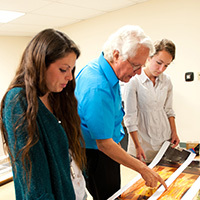 The teacher-scholar model, whereby faculty are engaged with both teaching and research, is central to Cal Poly’s identity and its mission to provide a comprehensive polytechnic education. Giving faculty the space and tools to pursue scholarly work enables them to bring cutting-edge ideas, meaningful experiences, and increased opportunities for Learn by Doing to students. Your generous gifts allow CLA to recruit and retain top faculty and deliver a premiere student experience.